The Travelling Lindfields: Cycling The Riesling Trail in The Clare Valley, S.A.
Ride - The Riesling Trail. Like so many of the great rides in Victoria and South Australia this cycle is a rail trail. Rail travel didn't have a glorious history in much of Australia. Again and again railways were built, no doubt at enormous cost, only to become uneconomic within a few years. Fortunately for avid cyclists however many of the old railway lines have been converted into rail trails. Trains generally don't handle anything other than the most gentle gradient making these trails universally easy to cycle. 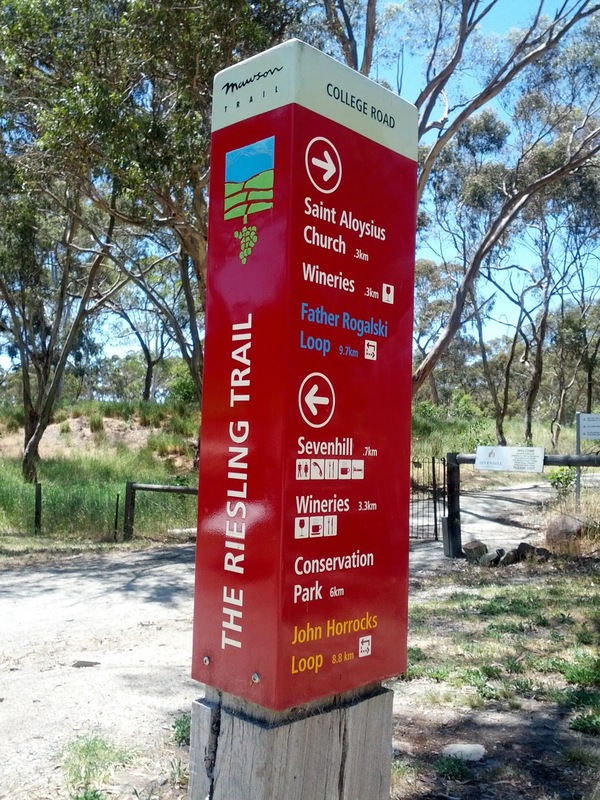 The Riesling Trail follows the old railway from Auburn to Clare in Sth Australia. 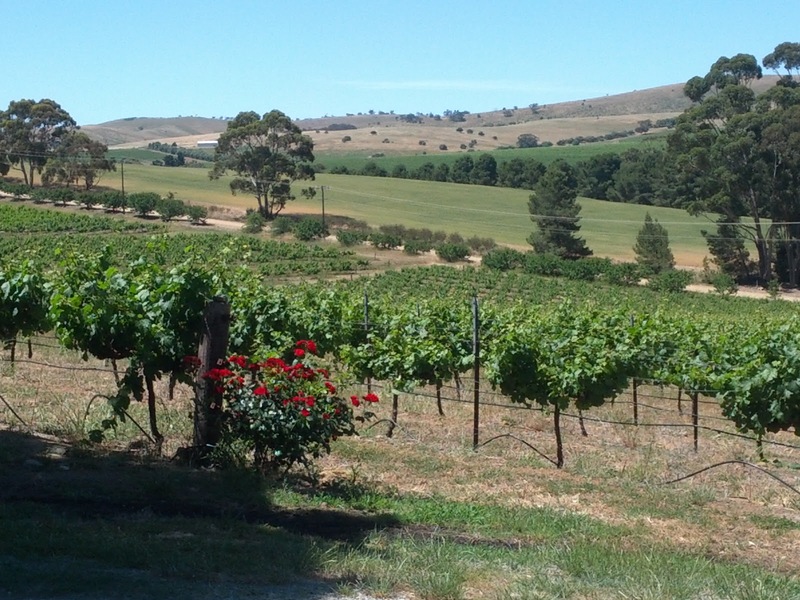 One of Australia's premier wine growing regions, the Clare Valley is famous for its Rieslings. I do like a nice Riesling! The trail rises gently from both ends towards the high point near Penwortham, roughly in the middle. The sensible thing would have been to plan our trip to do the uphill ride first and have an easy coast downhill on the way home. For some inexplicable reason we chose to start at Seven Hills Winery near Penworthan guaranteeing an uphill ride on the way home. This shouldn't have been a real problem except for two things. We had a strong tailwind on the way out ensuring an even stronger headwind on the way home and we foolishly decided to call in at some of the local wineries to taste their wares. Our picnic lunch at Crabtree Winery was made even more pleasant by the offer of a couple of glasses of their very drinkable cleanskin Riesling to wash down our food. I do like a nice Riesling. 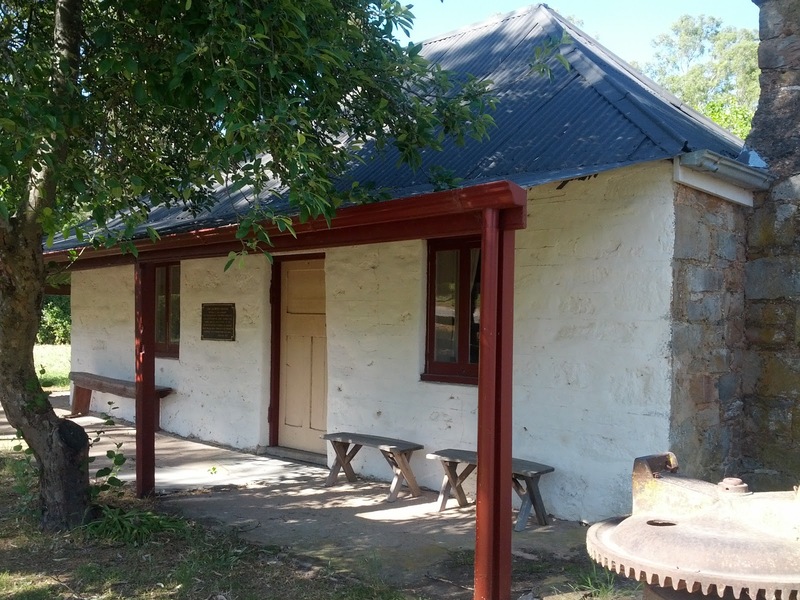 John Horrock's cottage - Horrick arrived in the Clare Valley in 1839 and founded the town of Penworthan. He was only 21 at the time. He died at age 28 from an accidental gunshot wound while hunting from the back of a camel. This is a great ride through very pleasant countryside but wine, cycling and an uphill ride home into a strong headwind do not mix. 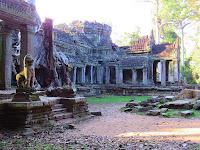 Tomorrow we plan to take the car!